Ceramics and glasses are brittle, which means that they display a high compressive strength but low tensile strength and may be fractured under very low strain (0.1%, 0.2%). Metal ceramic systems combine both the exceptional esthetic properties of ceramics and the extraordinary mechanical properties of metals. Some metals used as restorative materials in dentistry may constitute a problem for some patients. These problems may reveal themselves as allergies,  gum staining , and release of metallic ions into the gingival tissue  and the gingival fluid. These drawbacks, as well as the search for more esthetic materials by patients and dentists, have stimulated research and development of metal-free ceramic systems. The main objective of this work is to review ceramic dental materials, including their most relevant physical and mechanical properties. They can also be classified by the processing technique (power-liquid, pressed or machined). composition category 4 - polycrystalline solids (alumina and zirconia). Glass-based systems are made from materials that contain mainly silicon dioxide (also known as silica or quartz), which contains various amounts of alumina. Aluminosilicates found in nature, which contain various amounts of potassium and sodium, are known as feldspars. Feldspars are modified in various ways to create the glass used in dentistry. Synthetic forms of aluminasilicate glasses are also manufactured for dental ceramics. This category of materials has a very large range of glass-crystalline ratios and crystal types, so much so that this category can be subdivided into three groups. The glass composition is basically the same as the pure glass category. The difference is that varying amounts of different types of crystals have either been added or grown in the glassy matrix. The primary crystal types today are leucite, lithium disilicate or fluoroapatite. Low-to-moderate leucite-containing feldspathic glass - these materials have been called "feldspathic porcelains" by default. Even though other categories have a feldspathic-like glass, this category is what most people mean when they say "feldspathic porcelain." High-leucite-containing (approximately 50%) glass. Again, the glassy phase is based on an aluminosilicate glass. These materials have been developed in both powder/liquid, machinable and pressable forms. Lithium-disilicate glass ceramic is a new type of glass ceramic introduced by Ivoclar as IPS Empress® II (now called IPS e.max® ), where the aluminosilicate glass has lithium oxide added. Glass-infiltrated, partially sintered alumina was introduced in 1988 and marketed under the name In-Ceram. The system was developed as an alternative to conventional metal ceramics and has met with great clinical success. Solid-sintered, monophase ceramics are materials that are formed by directly sintering crystals together without any intervening matrix to from a dense, air-free, glass-free, polycrystalline structure. There are several different processing techniques that allow the fabrication of either solid-sintered aluminous-oxide or zirconia-oxide frameworks. CAD/CAM or slurry, die-processed, mostly crystalline (alumina or zirconia) systems. These are the porcelains that are made for veneering cores made from either metal, alumina or zirconia, but can be used for porcelain veneers on either a refractory die or platinum foil technique. Vitabloc Mark II for the CEREC and pressable and machinable versions of IPS Empress are the primary materials available in this classification. These materials are ideally suited for inlay and onlay restorations, anterior crowns and veneers, and possibly bicuspid crowns. They have to be bonded and can be used full contour as there are polychromatic machinable versions. Alumina materials in this classification are Procera, which is solid sintered alumina, and In-Ceram, which is glass infiltrated. These materials work well for cores for single crowns that are veneered with a powder/liquid glass-based material (porcelain). Glass ceramics were first developed by Corning Glass Works in the late 1950s. According to McLean,  the first works on glass ceramics were performed by Mac Culloch, but his work did not receive much attention. Further investigations by Grossman and Adair , concluded with the development of a tetra silicic fluormica-containing ceramic system. In principle, an article is formed while liquid and a metastable glass results on cooling. During a subsequent heat treatment, controlled crystallization occurs, with the nucleation and growth of internal crystals. This conversion process from a glass to a partially crystalline glass is called ceraming. Thus, a glass ceramic is a multiphase solid containing a residual glass phase with a finely dispersed crystalline phase. The controlled crystallisation of the glass results in the formation of tiny crystals that are evenly distributed throughout the glass. The number of crystals, their growth rate and thus their size are regulated by the time and temperature of the creaming heat treatment. This material is manufactured using a process known as heat pressing, which is performed in an investment mold. This mold is filled with the plasticized ceramic thus avoiding the sintering process and the subsequent pore formation. This ceramic undergoes dispersion strengthening through the guided crystallization of leucite. The construction of ceramic restorations using leucite-reinforced feldspars can be done either by sintering, using a modified version of the sintering process described earlier to construct the porcelain jacket crown, or by a process known as hot pressing. 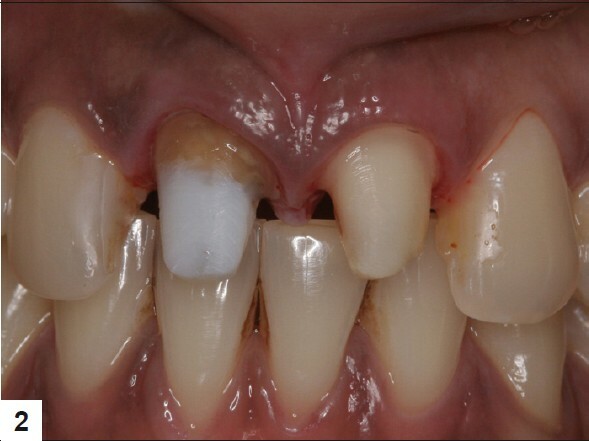 In order to be able to extend the use of resin-bonded ceramic restorations and possibly use them for bridge construction, a glass ceramic based on a SiO 2 -Li 2 O system has been developed (Empress II, Ivoclar-Vivadent). To increase the strength, thermal expansion and contraction behavior of ceramics, manufacturers have added crystalline filler particles. Other types of filler additions include particles of high-melting glasses that are stable at the firing temperature of the ceramic. Kelly  refers to a ceramic as a "glass-ceramic" when the filler particles are added mechanically during manufacturing precipitate within the starting glass by special nucleation and growth-heating treatments. The crystalline phase that forms is a lithium disilicate (Li 2 Si 2 O 5 ) and makes up about 70% of the volume of the glass ceramic. Lithium disilicate has an unusual microstructure, in that it consists of many small interlocking plate-like crystals that are randomly oriented. This is ideal from the point of view of strength because the needle-like crystals cause cracks to deflect, branch or blunt; thus, the propagation of cracks through this material is arrested by the lithium disilicate crystals, providing a substantial increase in the flexural strength. A second crystalline phase, consisting of a lithium orthophosphate (Li 3 PO 4 ) of a much lower volume is also present. The mechanical properties of this glass ceramic are far superior to that of the leucite glass ceramic, with a flexural strength in the region of 350-450 MPa and fracture toughness approximately three-times that of the leucite glass ceramic. The glass ceramic is claimed to be highly translucent due to the optical compatibility between the glassy matrix and the crystalline phase, which minimizes internal scattering of the light as it passes through the material [Figure 1],[Figure 2],[Figure 3],[Figure 4],[Figure 5]. There are two basic fabrication methods. The first method is to mill the restoration to full anatomical contour. 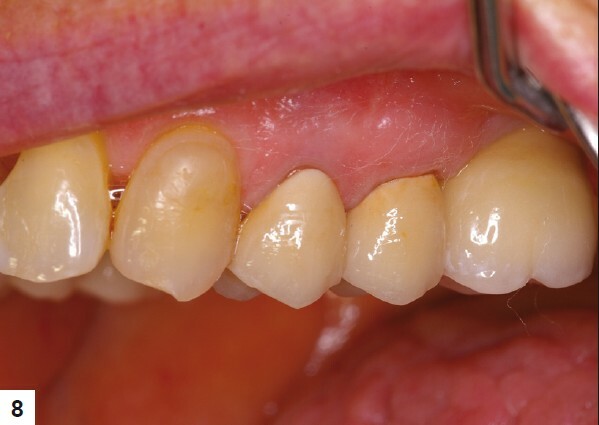 Before crystallization, the incisal edge is preserved by creating a silicone index. The incisal edge is cut back, creating mamelons, and is layered with the appropriate incisal porcelains back to the original contour using the silicone index as the guide. The restoration is then crystallized in the furnace using the standard firing program. A variation of this technique is crystallizing before the layering steps. This method allows the operator to see the colour of the restoration before application of the layering ceramics. This does require a wash coat firing of the layering ceramic before the build-up ceramic is applied. The second method is to mill the crown to full contour, then stain, glaze and crystallize. This method also has a variation that includes applying the stain and glaze after the crystallization step. This allows the operator to see the final color of the crown while applying the stains. It may be easier to apply the stains, but it involves a second 12-min firing cycle. This glass-infiltrated core is later veneered with a feldspathic ceramic for final esthetics. These have excellent translucency and esthetic qualities, but have poor physical properties and require the high-strength core that the already-mentioned infiltrated ceramics can provide. The Vita In-Ceram slip-casting system makes use of three different materials to gain a good compromise between strength and esthics. Spinell (MgAl 2 O 4 ) is a natural mineral that is normally found together with limestone and dolomite. It is of dental significance because of its extremely high melting point (2135°C) combined with its high strength. Spinell is also chemically inert and has low electrical and thermal conductivity but, most importantly, it has unique optical properties. It has moderate strength of about 350 MPa and good translucency. It is more than twice as translucent as In-Ceram alumina due to the refractive index of its crystalline phase being close to that of glass. Glass infiltrating in a vacuum environment results in less porosity, ensuring this high level of translucency. 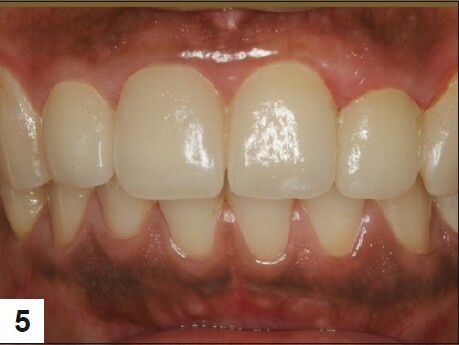 Often, however, this level of translucency can be excessive and can lead to an overly glassy, low-value appearance. Aluminum oxide (Al 2 O 3 ) is most widely known under the term corundum. As a result of the homogeneous framework structure made of ultrafine Al 2 O 3 particles, whose cavities are filled with a special glass, the degree of tensile bending strength is significantly higher than that of all other ceramic systems. With a weight percentage of 10-20%, aluminum oxide is a component of feldspar, which is the starting material for metal-ceramic veneering materials. The ceramic materials for substructures of jacket crowns have been enriched by up to 60% by weight with aluminum oxide crystals with a grain size of 10-30 um to increase stability. Because of the large difference in the refraction index (feldspar n = 1.53; corundum n = 1.76), intense refraction of light occurs at the aluminum oxide crystals in the feldspar, which results in the opaque effect of such Al 2 O 3 -enriched ceramic materials. Therefore, they are only suitable for fabrication of crown frames with subsequent veneering. In-Ceram alumina has a strength of around 500 MPa and poor translucency. Synthetically produced corundum with a grain size of 2-5 um is used for In-Ceram alumina. In the solid phase, it is sintered at 1100°C, well below the melting point of 2040°C, and it is then infiltrated with dentine-coloured glass at 1120°C. The zirconia system uses a mixture of zirconium oxide and aluminum oxide as a framework to achieve a marked increase in the flexural strength in the core framework. Aluminum oxide makes up about two-thirds of the crystalline structure as seen in the scanning electron micrograph to the right. The remaining crystalline structure consists of tetragonal zirconium oxide (round white particles). The proportion of glass phase amounts to approximately 20-25% of the total structure. This leads to the high strength as already seen in In-Ceram alumina. The increase however over alumina is due to the zirconium oxide particles that protect the structure against crack propagation. It has a very high strength of around 700 MPa and very poor translucency. 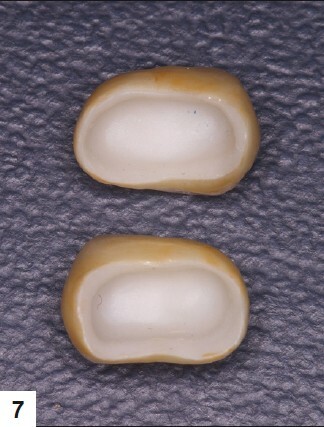 Zirconia occurs as a natural mineral called baddeleyite. This mineral contains 80-90% zirconium oxide. The major impurities are usually TiO 2 , SiO 2 and Fe 2 O 3 . This oxide exists in three different crystal structures: monoclinic at room temperature, tetragonal at ~1200°C and cubic at 2370°C. Zirconium oxide is transformed from one crystalline state to another during firing. At the firing temperature, zirconia is tetragonal and at room temperature, it is monoclinic, with a unit cell of monoclinic occupying about 4.4% more volume than when tetragonal. Unchecked, this transformation was unfortunate because it led to crumbling of the material on cooling. the application of computers to ceramics processing. Unlike glassy ceramics, polycrystalline ceramics cannot be pressed as a fully dense material into slightly oversized molds (molds that have expanded just enough to compensate for cooling shrinkage, as is done in the casting of metals). Polycrystalline ceramics are formed from powders that can be packed only to 70% of their theoretical density. Hence, polycrystalline ceramics shrink around 30% by volume (10% linear) when made fully dense during firing. For the final prostheses to fit well, the amount of shrinkage needs to be accurately predicted and compensated for. Well-characterized starting powders that can be uniformly packed are a prerequisite for achieving predictable and reproducible shrinkage. Two approaches are offered commercially for fabrication of prostheses from polycrystalline ceramics, both of which create oversized greenware (unfired part) using 3-D data sets and the specific shrinkage characteristics of well-behaved starting powders. Two basic techniques can be used for CAD/CAM restorations. The CEREC system provides an in-office alternative for porcelain restorations. The processing begins with a smooth, rounded, well-tapered restoration. This preparation is sprayed and bonded to titanium dioxide contrast powder in the patient's mouth. An infrared camera records the powder and creates a 3-D optical impression on the computer. This image can be manipulated by the dentist to create ideal anatomy and contacts before processing. The shade of porcelain is selected by the dentist, and this shade selection is placed into the computer. The computer then tells the dentist what block of porcelain or composite is to be used. This block is then milled in-office according to the computer design. The restoration comes out of the milling machine with a ceramic sprue that needs to be removed. The restoration is then tried in the patient's mouth. Proximal contacts may need to be adjusted and flash may need to be removed. 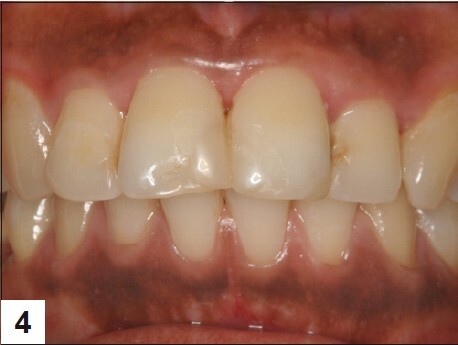 If the restoration is adequate and esthetic, it can be cemented in using composite. An integrated chairside-laboratory technique requires two visits. The clinician either can scan the preparation directly and then send the scan to the laboratory or can take a traditional impression, after which a stone model is poured and the laboratory scans the stone model. In the first case, the patient still does not require an impression, removing a source of discomfort for the patient and a potential source of inaccuracy for the clinician. Designing the virtual restoration is similar to that traditionally performed at the laboratory: the die margins are trimmed and the restoration is designed. Rather than physically building up the restoration using layers of porcelain, however, the clinician is presented with a fully contoured 3-D model of the restoration to refine. By accessing a comprehensive database of natural tooth structures, the clinician is able to assess the design proposed by the computer and to verify its fit in relation to the preparation, the gingival margins and the neighbouring teeth, as well as the occlusion. Any refinements deemed necessary by the dentist are accomplished with the computer software's design tools. Using the CAD software, the practitioner can form the desired interproximal contacts and verify occlusal relationships prior to milling. The image of the restoration on the computer screen would be reproduced in the milling process. Using a CAD/CAM restorative technique, a number of steps can be simplified or eliminated. Traditional impressions can be replaced by using a handheld scanning device that digitally records the form and margins of the preparation. Care must be taken to ensure that the whole preparation is scanned, to avoid introducing errors. As with a traditional impression, soft-tissue retraction and hemostasis are prerequisites for an accurate result. Advances in dental ceramic materials and processing techniques, specifically CAD/CAM and milling technology, have facilitated the development and application of superior dental ceramics. CAD/CAM allows the use of materials that cannot be used by conventional dental processing techniques. Tightly controlled industrial ceramic processing can produce increased microstructural uniformity, higher density, lower porosity and decreased residual stresses. Such improvements have the potential to improve clinical predictability. CAD/CAM has become somewhat synonymous with zirconia, but systems are available that can machine any type of ceramics, i.e. glass ceramics, interpenetrating (infiltration ceramics) materials and solid-sintered monophase ceramics such as zirconia. The material used depends on functional and esthetic demands and on whether a chairside or laboratory CAD/CAM restoration is fabricated. For chairside CAD/CAM restorations, an esthetic, strong material requiring minimal post-milling esthetic adjustment to minimize the chairside time is needed. Leucite-reinforced glass ceramics (IPS Empress CAD, Ivoclar Vivadent;) and lithium disilicate glass ceramics (IPS e.max, Ivoclar Vivadent) can be used for chairside and laboratory CAD/CAM single restorations. Leucite-reinforced material is designed to match the dentition for strength and surface smoothness and to offer esthetic results by scattering light in a manner similar to enamel. For chairside cases where strength is a consideration, lithium disilicate CAD restorations offer a strength of 400 MPa as compared with the leucite-reinforced ceramic, with an MPa ranging from 120 to 160, and still provide good esthetics. Lithium disilicate is used as a monolithic (single layer) material, providing strength. Solid-sintered ceramics have the highest potential for strength and toughness but, because of high firing temperatures and sintering shrinkage techniques, they were not available to use as high-strength frameworks for crowns and fixed partial dentures until recently. Solid-sintered monophase ceramics are materials that are formed by directly sintering crystals together without any intervening matrix to form a dense, air-free, glass-free, polycrystalline structure. There are several different processing techniques that allow the fabrication of either solid-sintered aluminous oxide or zirconia oxide frameworks. There are three basic techniques for fabricating solid-sintered monophase ceramic frameworks for porcelain application. One system, DCS Preciscan (marketed in the United States by Dentsply) machines the final desired framework shape from a solid-sintered block of material. This system is expensive and has not proven cost-effective as a result of the excessive machining time and manual labour necessary to adjust and fit the coping. Secondly, the Procera® system (Nobel Biocare) employs an oversized die where slurry of either aluminous oxide or zirconia oxide is applied to the die, subsequently fired, fully sintered and shrunk to fit the scanned die. The third method machines an oversized coping from a partially sintered block of zirconia oxide material, which is then fired to the full sintering temperature and then shrunk to fit the die. Most of the systems on the market today use some variation of this type of technology. Examples of these systems are Lava™ (3M™ESPE™) and Cercon (Dentsply). These systems scan the prepared die and then the software creates virtual dies and frameworks. An oversized framework is created through a CAM process, which is then fully sintered in a special oven. The Lava™ systems also allow for internal shading of the core material [Figure 6],[Figure 7],[Figure 8]. Mechanical failure of ceramic materials is almost completely controlled by brittle fracture. Usually, this brittle behavior combined with surface flaws resulted in relatively low ceramic strengths. Increased crystalline-filler content within the glass matrix, with a more even distribution of particles and finer particle size, has yielded significant improvements in the flexural strength of ceramic materials. , However, strength improvements are still limited by the inherent weakness of the glass matrix. All ceramics fail because of crack propagation at a critical strain of 0.1%. Applied stresses can cause a crack to grow throughout the matrix, causing the ultimate failure of that restoration. These occur when obstacles in the microstructure act to impede the crack motion. These are generally second-phase particles and act to deflect the crack into a different plane so that it is no longer subject to the normal tensile stress that originally caused its propagation. These are a result of events that are triggered by high stresses in the crack tip region that act to reduce these high stresses. Transformation toughening and microcrack toughening are two mechanisms that have been identified as leading to crack tip shielding. This occurs when the second-phase particles act as a ligament to make it more difficult for the cracks to open. Crack bridging is best understood for bonded fiber composites. This mechanism has been shown to be important in large-grain Al 2 O 3 and possible whisker-reinforced ceramic materials. The new generation of ceramic materials present interesting options, both in terms of material selection and in terms of fabrication techniques. A closer understanding of the dynamics of the materials with respect to design of the restoration and the intended use is required to enable these restorations to perform productively. 1. Rosenblum MA, Schulman A. A review of all ceramic restorations, J Am Dent Assoc 1997;128:297-307. 2. Rizkalla AS, Jones DW. Mechanical properties of commercial high strength ceramic core materials. Dent Mater 2004;20:207-12. 3. Rizkalla AS, Jones DW. Indentation fracture toughness and dynamic elastic moduli for commercial feldspathic dental porcelain materials. Dent Mater 2004;20:198-206. 4. Arango SS, Vargas AP, Escobar JS, Monteiro FJ, Restrepo LF. Ceramics for dental restorations -An Introduction. Year 77. Nro. 163. Medellin: Dyna; 2010. p. 2636. 5. Stejskal VD, Danersund A, Lindvall A, Hudecek R, Nordman V, Yaqob A, et al. Metal specific lymphocytes: Biomarkers of sensitivity in man, Neuro Endocrinol Lett 1999;20:289-98. 6. Arvidson K, Wroblewski R. Migration of metallic ions from screwposts into dentin and surrounding tissues. Scand J Dent Res 1978;86:200-5. 7. Venclνkova Z, Benada O, Bαrtova J, Joska L, Mrklas L. Metallic pigmentation of human teeth and gingiva: Morphological and immunological aspects. Dent Mater J 2007;26:96-104. 8. Bumgardner JD, Lucas LC. Cellular response to metallic ions released from nickelchromium dental alloys. J Dent Res 1995;74:1521-7. 9. Mehulic K, Prlic A, Komar D, Prskalo K. The release of metal ions in the gingival fluid of prosthodontic patients Acta Stomatol Croat 2005;39:47-51. 10. Edward A, McLaren DS, Tran CP. DDS Ceramics in Dentistry-Part I: Classes of Materials. Inside dentistry. Available from: http://www.insidedentistry.net [Last accessed on 2009 Oct]. 11. Mclean JW. Evolution of dental ceramics in the twentieth century. J Prosthet Dent 2001;85:61-6. 12. Adair PJ. Glass ceramic dental products. 1982. US Patent 4,431,420, 1984 - Google Patents. 13. Grossman D. Tetrasilicic mica glassceramic method. 1973. US Patent 3,732,087, 1973 - Google Patents. 14. Anusavice KJ. Phillips Science of Dental materials. Amsterdam: Elsevier; 2004. 15. Stookey SD. Method of making ceramics and products thereof, 1956. US Patent 2,920,971, 1960 - Google Patents. 16. Heymann HO, Bayne SC, Sturdevant JR, Wilder AD Jr, Roberson TM, et al. The clinical performance of CAD/CAM generated ceramic inlays: A four-year study. J Am Dent Assoc 1996;127:1171-81. 17. 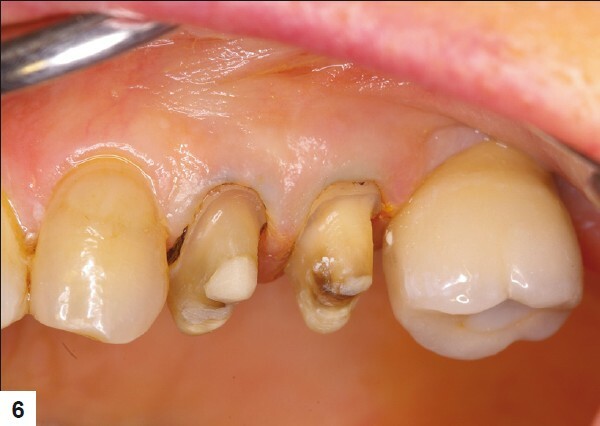 Berg NG, Derand T. A 5-year evaluation of ceramic inlays (CEREC). Swed Dent J 1997;21:121-7. 18. El-Mowafy O, Brochu JF. Longevity and clinical performance of IPSEmpress ceramic restorations a literature review, J Can Dent Assoc 2002;68:233-7. 19. Prφbster L, Geis-Gerstorfer J, Kirchner E, Kanjantra P. In vitro evaluation of a glass ceramic restorative material. J Oral Rehabil 1997;24:636-45. 20. Sorensen JA, Choi C, Fanuscu MI, Mito WT. IPS Empress crown system: Three year clinical trial results. J Calif Dent Assoc 1998;26:130-6. 21. Kelly JR. Dispersion strengthened composite.US Patent 4978640 Issued Dec 18 th 1990. 22. Kelly JR. Dental ceramics: What is this stuff anyway? J Am Dent Assoc 2008;139:4S-7. 23. Denry IL. Recent advances in ceramics for dentistry. Crit Rev Oral Bio Med 1996;7:134-43. 24. Seghi RR, Sorensen JA. Relative flexural strength of six new ceramic materials. Int J Prosthodont 1995;8:239-46. 25. Van Noort R. Introduction to dental materials. Philadelphia, Pa: Elsevier Health Sciences; 2002. p. 244. 26. Helvey GA. Retro-fitting an existing crown adjacent to a removable partial denture in a single visit. Inside Dent 2009;5:34-41. 27. Mansour YF, Al-Omiri MK, Khader YS, Al-Wahadni AM. Clinical performace of IPS-Empress 2 ceramic crowns inserted by general dental practitioners. J Comp Dent Pract 2008;9:1-11. 28. Scotti R, Catapano S, D′Elia A. 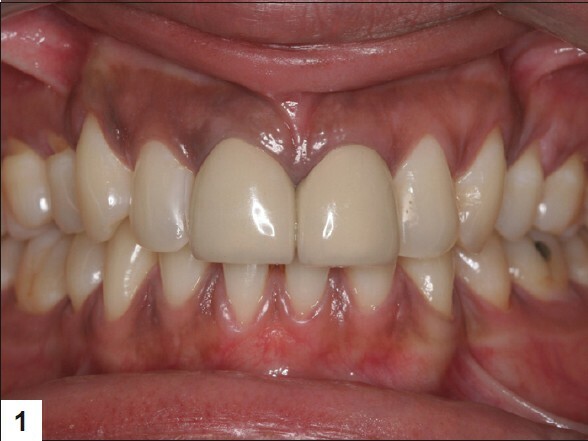 A clinical evaluation of In-Ceram crowns. Int J Prosthodont 1995;8:320-3. 29. Probster L, Diehl J. Slip casting alumina ceramics for crown and bridge restorations. Quintessence Int 1992;23:25-31. 30. Piconi C, Maccauro G. Zirconia as a ceramic biomaterial. Biomaterials 1999;20:1-25. 31. Denry I, Kelly JR. State of the art of zirconia for dental applications. Dent Mater 2008;24:299-307. 32. Guazzato M, Albakry M, Ringer SP, Swain MV. Strength, fracture toughness and microstructure of a selection of allceramic materials. Part II. Zirconia based dental ceramics. Dent Mater 2004;20:449-56. 33. 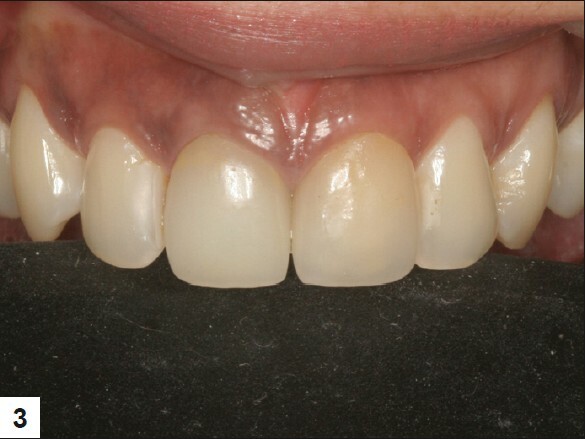 Andersson M, Razzoog ME, Odιn A, Hegenbarth EA, Lang B. Procera: A new way to achieve an all-ceramic crown. Quintessence Int 1998;29:285-96. 34. Liu PR. A Panorama of Dental CAD/CAM restorative systems. Compend Contin Educ Dent 2005;26:507-8,510,512. 35. Seghi RR, Daher T, Caputo A. Relative flexural strength of dental restorative ceramics. Dent Mater 1990;6:181-4. 36. Seghi RR, Sorensen JA. Relative flexural strength of six new ceramic materials. Int J Prosthodont 1995;8:239-46. 37. Jones DW. The strength and strengthening mechanisms of dental ceramics. In: Mclean JW, editor Dental Ceramics: Procedings of the First International Symposium on Ceramics. Chicago: Quintessance; 1983. 38. Conrad HJ, Seong WJ, Pesun IJ. Current ceramic materials and systems with clinical recommendations: A systematic review. J Prosthet Dent 2007;98:389-404. 39. Manicone PF, Rossi Iommetti P, Raffaelli L. An overview of zirconia ceramics: Basic properties and clinical applications. J Dent 2007;35:819-26.